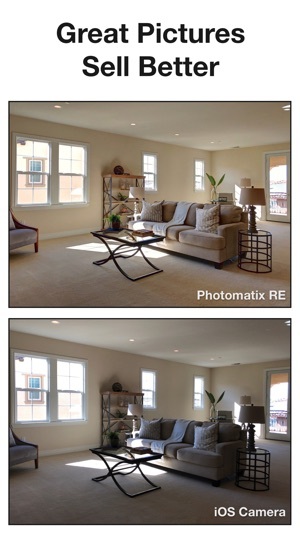 Photomatix RE Camera takes outstanding pictures of properties without photography expertise. 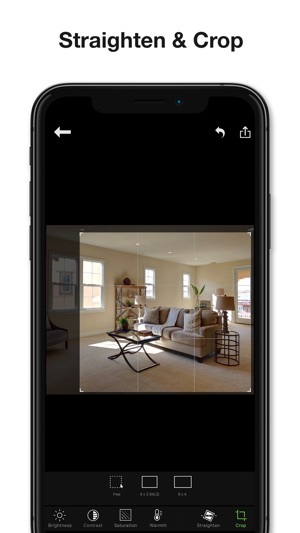 With just your iPhone, you will get professional quality photos to showcase your house on MLS, Airbnb or other places. Photographs are essential to advertise a property. Study after study has shown that homes with professional looking photos attract more customers and generate higher revenues from sales or rent. Yet, real estate photography isn't easy. Lighting is often a challenge with interiors, requiring expertise to overcome, and sometimes lighting equipment too. 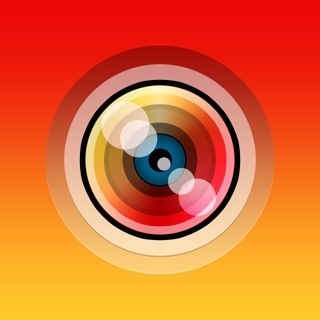 Photomatix RE Camera is designed to address this challenge with just an iPhone or iPad. 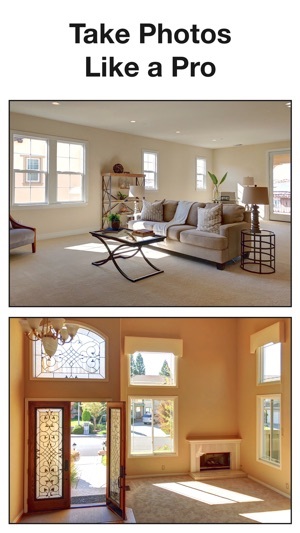 Start the app, and you will take clear, bright interior photographs, with the outside view showing through the window. The app is easy to use and does all its magic automatically. No professional experience is needed. No additional lighting or expensive equipment. Photomatix RE Camera uses advanced HDR technology optimized by years of experience with experts in real estate photography. 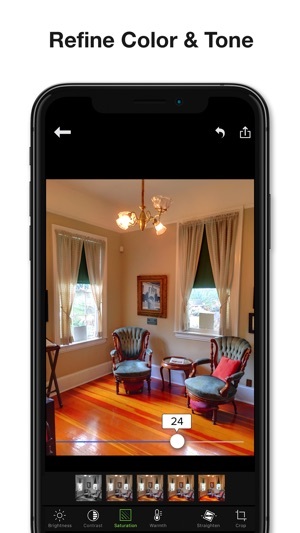 It brings to the iPhone the Photomatix technology powering desktop applications used by professional photographers to balance the light in interior photographs with a sharp contrast between the room and bright windows. The app has no ads and is free to use, but adds a 'Photomatix' watermark at bottom of the image. The In App Purchase option lets you get rid of the watermark. 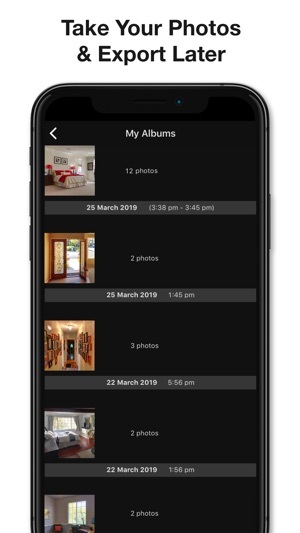 Photos taken are now automatically organized into albums, and multiple photos can be exported at a time.